Outsourcing continues to be one of the most conflicted and emotionally-charged topics among business leaders. While some view it as a strategic opportunity to create greater levels of internal agility and efficiency – others view it as a knee-jerk reaction made by struggling companies desperate to stay afloat. Unfortunately, myths deep rooted in fear have taken hold, and as a result, have created skewed perceptions of outsourcing and the role it plays in the business world. 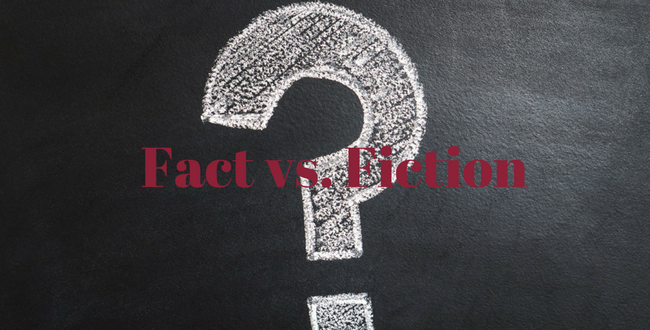 Our goal with this article is to address the 5 most common myths about outsourcing head-on, so that your organization can evaluate outsourcing transparently – without having to decipher between fact and fiction. Loss of visibility and control is one of the biggest fears management teams have about process outsourcing. Having an external company manage and control critical business functions can be risky if there is a lack of congruency between how quality standards and performance metrics are measured. However, contrary to this belief, outsourcing actually provides organizations with more control; it simply transfers ownership of specific responsibilities and shifts the process of information. Organizations that choose to leverage outsourcing can, and absolutely should, communicate their expectations, key performance metrics, and business requirements to ensure strategic alignment before entering into any sort of partnership. Arguably one of the most significant benefits of outsourcing has become somewhat of an Achilles heel in terms of public perception. Though cost is undoubtedly a driving factor behind the decision to pursue outsourcing, it’s by no means the only reason to do so. Every organization is unique, and thus, requires a unique solution to solve for their specific challenges. Likewise, every outsourcing solution is different, and as such, yields different results. The benefits of leveraging outsourced solutions are entirely dependent on the type system that’s implemented, but often include: efficiency, expertise, cost, agility, growth, scalability, disaster recovery, and risk mitigation – just to name a few. It’s often said that outsourcing is synonymous with ‘laid off’, but that’s actually not the case at all. Yes – there have definitely been instances when organizations have chosen to leverage outsourcing in an effort to downsize internal resources. However, the two are not mutually exclusive. Rather than inundating internal employees with tasks and responsibilities that don’t fall within their ‘wheelhouse’, process outsourcing allows organizations to transfer those responsibilities to outside specialists. Not only does this free up internal bandwidth and production capacity to focus on initiatives that are core to the business, but it also helps generate greater levels of operational efficiency and effectiveness – without having to let employees go. Many claim that the quality of work from offshore providers is poor with respect to work from their competent in-house team. However, the truth is that the vast majority of outsourced vendors have invested heavily in the development of their infrastructure and quality control systems and processes. As a result, organizations that choose to partner with these vendors are able to gain the benefit of greater expertise and modern technology platforms (for little to no cost), while also opening up their own capital to invest in growth and innovation. Some business leaders advocate that an organization’s data is better kept ‘close to the chest’, and that organizations who choose to leverage outsourcing run the risk of disclosing intellectual property to unsafe or unreliable providers. Although a valid concern, the vast majority of outsource providers place a huge emphasis on developing a safe and secure environment for handling client data. Additionally, more advanced providers have supplementary disaster recovery to add another level of support and security. For more insight into business process outsourcing and the various ways organizations can leverage outsourced solutions to support business initiatives, contact a DDC FPO expert today.